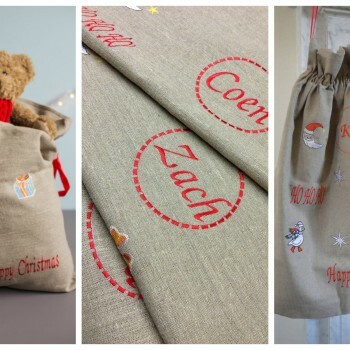 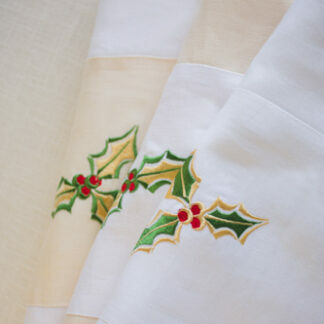 This is a unique 100% pure Irish linen collection, which I designed with the festive season in mind. 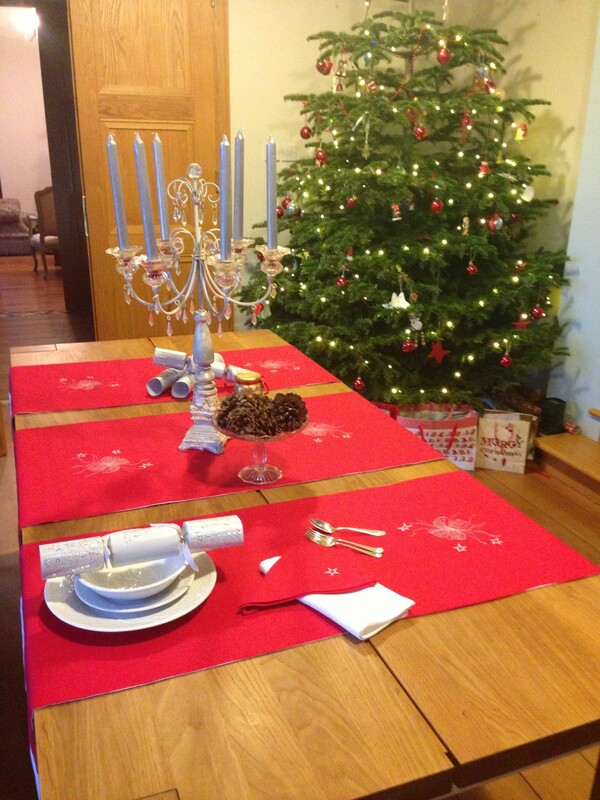 Christmas is a magical time and I love setting the table with magic in mind! 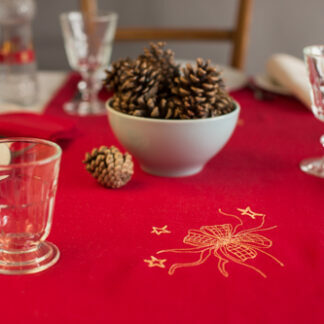 These beautiful Irish table runners and napkins will help you do just that. 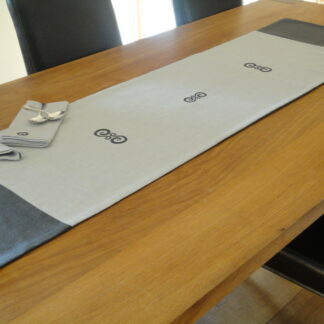 This table runner is double lined in Irish linen and so has a rich quality. 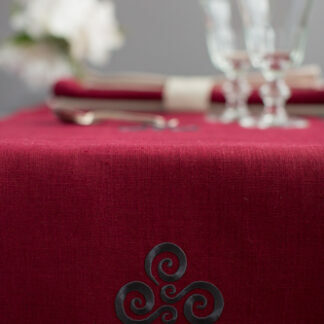 Motif is embroidered in gold or silver threads on red linen in the middle and ecru or white at both ends wrapping around to the back which gives the runner a unique richness. 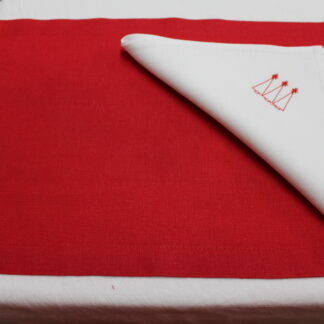 This is double lined with Irish linen and so is reversible also to show all white linen or all ecru on the other side. 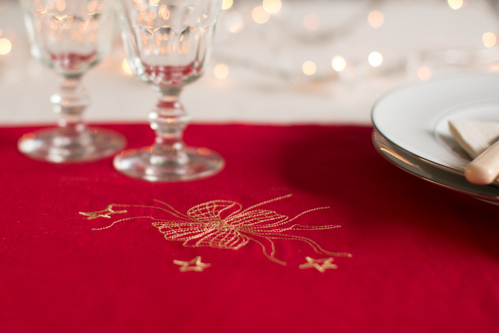 This makes a striking contrast. 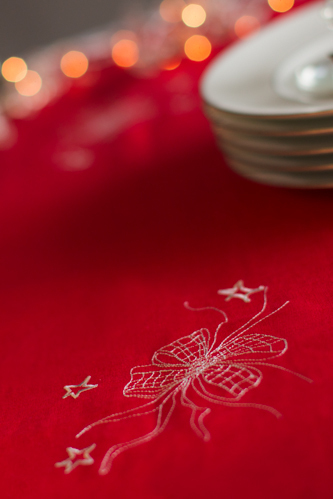 Wash; Cool wash – see “Care of Linen” on home page. 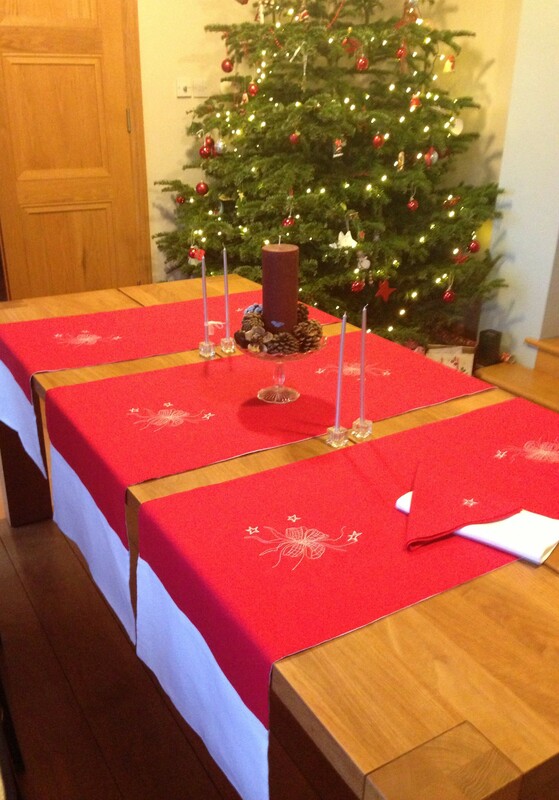 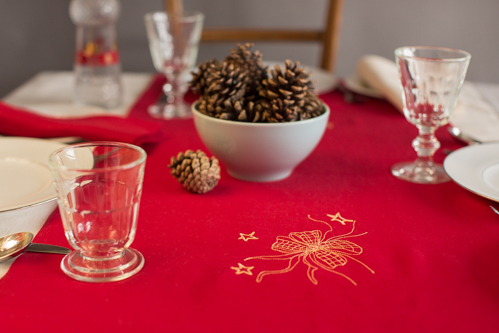 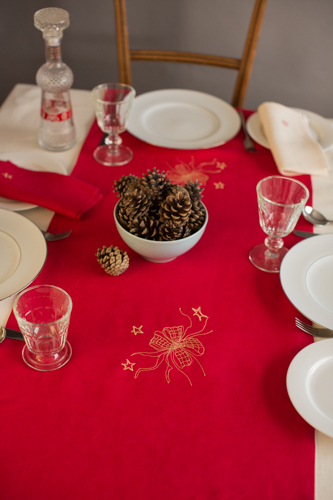 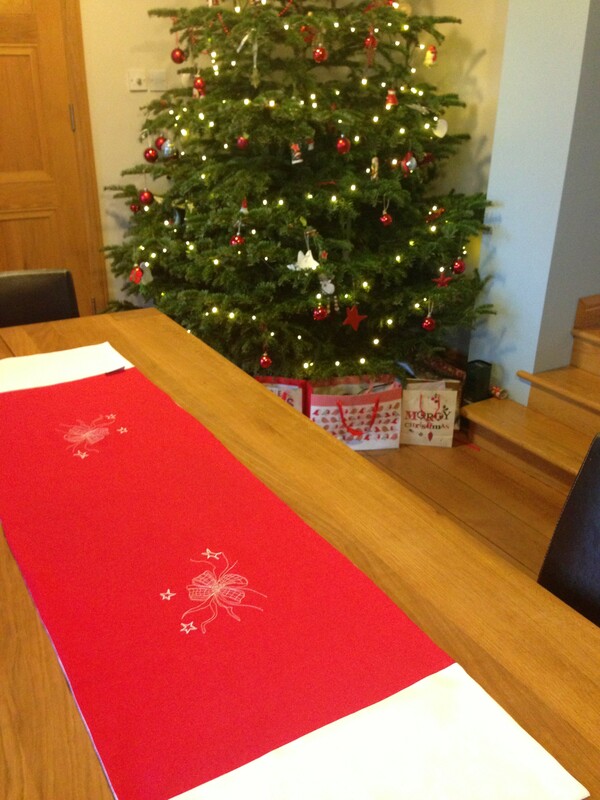 Christmas Holly Table Runners in Irish linen - Great value Wedding Gift Set in The Carrig Collection, which includes table runner and napkins / Sold out.